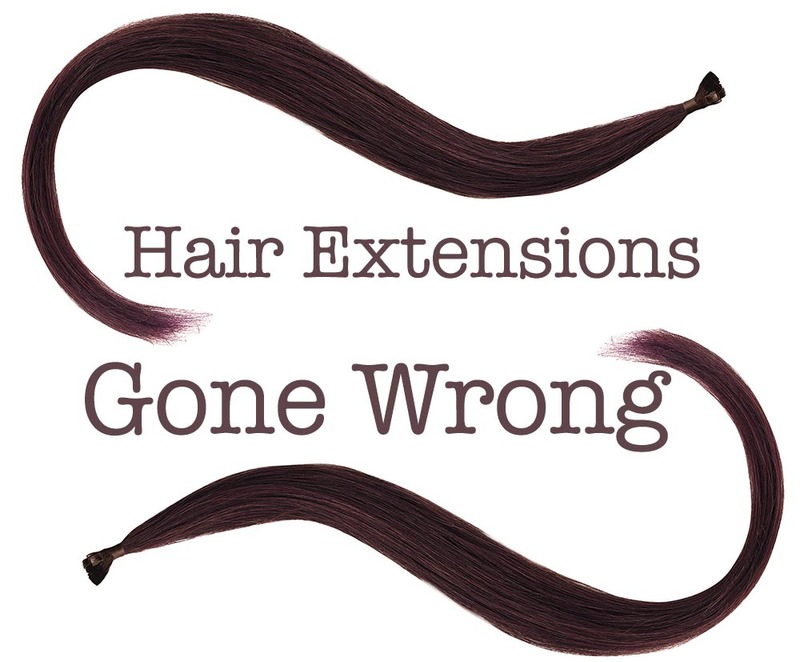 Home / About Hair Extensions / Hair Extensions Gone Wrong! Vikki Parman, the CEO of Di Biase Hair Extensions USA is very passionate about the importance of proper hair extension training. In fact, anyone who wishes to be certified in Di Biase Hair Extensions must complete and pass a comprehensive course involving both theory and hands on application. It is so important to be able to know the correct way to apply fusion hair extensions because if they are applied incorrectly, serious damage of the hair can occur. 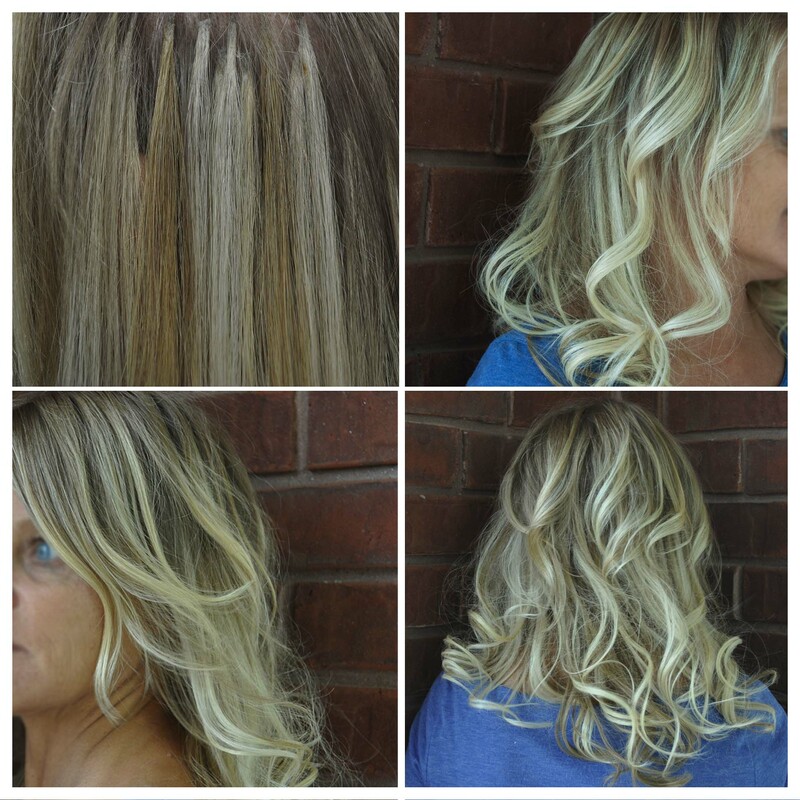 Recently, a client came to Vikki for help with her previously applied extensions. As you can see from the photo below, these extensions were applied wrong in so many ways. The previous stylist was not educated or trained in hair extensions. If fact, the client asked the stylist to take a class (and she would even cover the cost!) but the stylist chose not to because “she didn’t have time to take a class”! This is how the extensions should never be applied! These were fusion bonded extensions. The hair that has been attached to the bond was coming from many different areas of the scalp which has caused matting, tangling, pulling, and tension of the hair and scalp. The previous stylist also did a sloppy job of lining up the extensions correctly in the hair. Its as if stylist carelessly took random hairs from different areas of the head and applied the fusion strands. 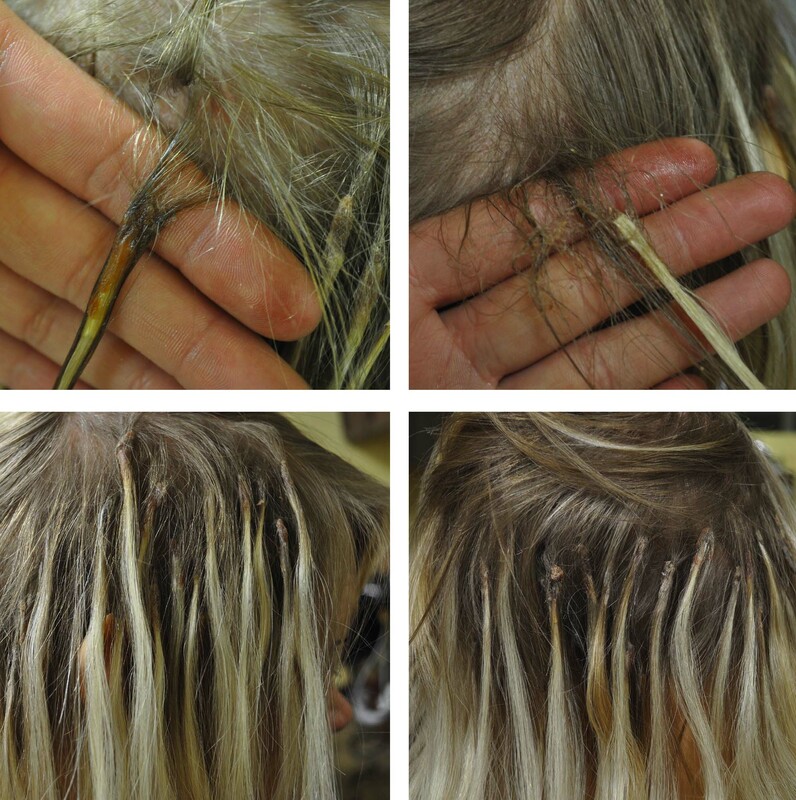 After taking out the extensions… this is now the result: breakage, short hairs and thinning hair at the scalp. After Vikki took out the bad set of extensions she applied new Di Biase Fusion extensions the correct way.